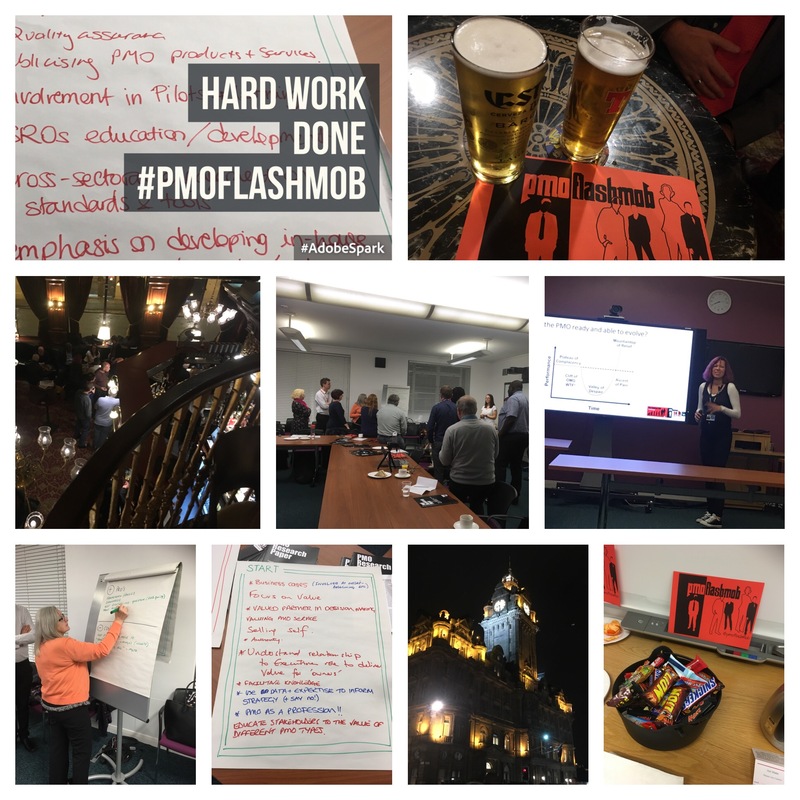 PMO Flashmob is a networking and community group for the PMO profession, open to anyone interested in Portfolio, Programme and Project Offices. Set up in 2013, PMO Flashmob hosts events which bring together PMO practitioners in different locations across the UK. See the upcoming events we’re running. Held in bars or pubs, we have a part set aside for PMO practitioners to meet each other, network and chat. For each evening session we always have a few things up our sleeves to get people talking about their work within PMO. Each month is different – we focus on the things that matter the most to the people attending. The only thing that is the same is a mob of PMO professionals that want to talk to others that are on their wavelength. Think of it as your own little personal coaching circle – the mob are just like you, they want to chat and share experiences that can perhaps help them be better in their work in the future. There’s no attendance criteria but be prepare to share your own words of wisdom that can help the collective mob of PMO Flashmobbers. PMO Mini-Masterclasses are our evenings of more structured yet informal learning sessions. Take a look at some of the previous events. Lectures, workshops, seminars – you name it, we do it on our Mini-Masterclass nights. We also record the vast majority of these so you don’t miss out of you can’t make them in person. These sessions focus on a particular PMO topic area; often feature a guest speaker and include interactive sessions for participants to get involved and learn something new – all in two hours in an evening. Inside PMO – the PMO Manager’s Lunch produces a report which shares real world practices and experiences in common PMO challenge areas. See the Inside PMO series and download your copies. Research – we produce the PMO Benchmark Report and conduct surveys and polls which pull out great insights from the PMO community. 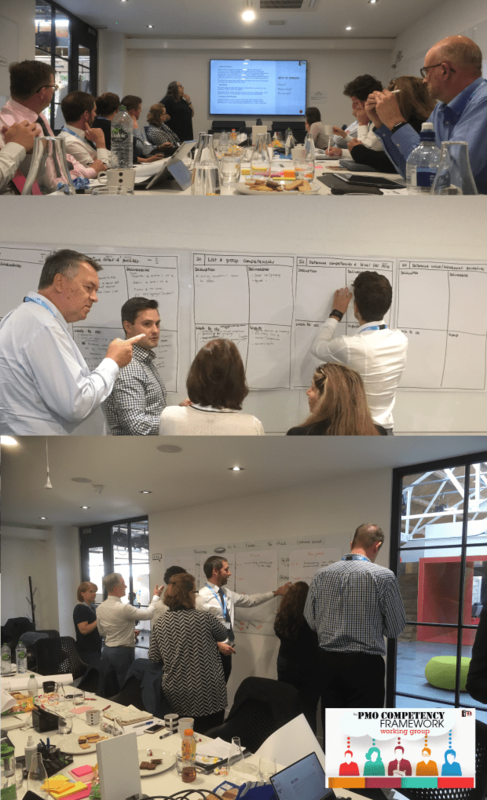 Working Groups – we host working groups to work on projects which interest us and the wider PMO community. Our first one is the PMO Competency Framework. 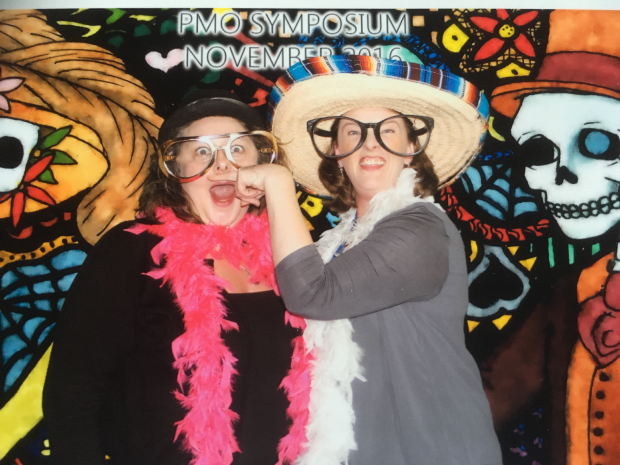 PMO Flashmob is run by Lindsay Scott and Eileen Roden supported by a great network of willing and enthusiastic volunteers. “I haven’t worked in a PMO for years but for some reason I just can’t stop being interested in them – and in the people that work within them. I’ve been involved in PMO community groups for years and I really like getting people together, hearing them share their pains – and their successes! “I fell into a PMO over 25 years ago and have never looked back. I still think it’s the most exciting place to work – at the centre of PPM in an organisation, helping that organisation deliver its strategy.